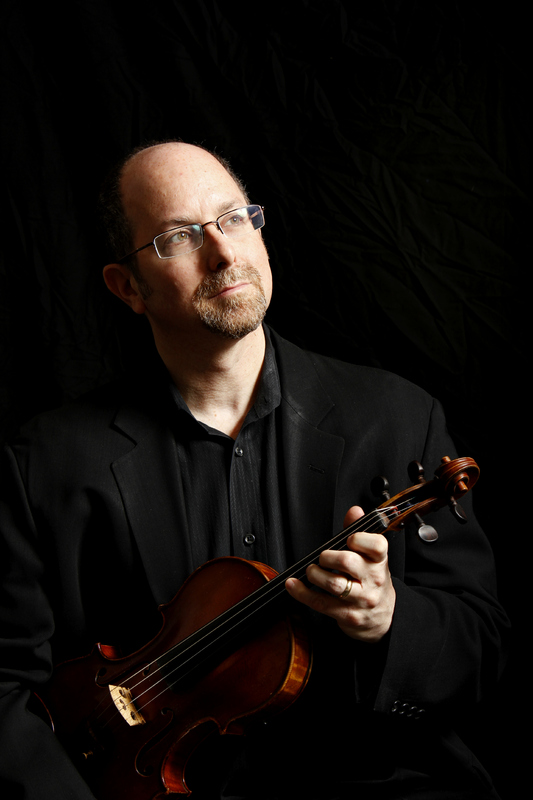 Described by the Washington Post as “particularly impressive,” and “extraordinary” by the Pittsburgh Post Gazette, Steven Greenman is a multi-talented musical artist, who is equally adept at performing stunning solo violin works with symphony orchestras, soulful East European Jewish folk music (klezmer music) and passionate East European Romani (Gypsy) music. Steven’s virtuosic performing skills are complimented with his passion for composition and education. As a composer, Steven has produced two landmark recordings of his original Jewish and klezmer compositions, Stempenyu’s Dream and Stempenyu’s Neshome, while two of his Jewish liturgical melodies have been recognized and published by the Shalshelet Foundation for New Jewish Liturgical Music. With his recording Khevrisa: European Klezmer Music, Steven is a Smithsonian Folkways recording artist. As an educator, Steven leads klezmer music master classes internationally and has been a teaching artist with the Cleveland Orchestra’s “Learning Through Music” program since 2001. He has performed and recorded with several of the world’s leading klezmer ensembles and is a founding member of Cleveland’s East European ensemble Harmonia. Well-versed in performing Magyar nota and various East European folk music styles Steven has been a guest soloist with the Cleveland Pops Orchestra, the Canton Symphony and the Akron Symphony, performing his own arrangements of traditional East European Romani (“Gypsy”) violin music and klezmer music. Steven has explored classical Chinese music performing the famous Butterfly Lovers Violin Concerto as soloist with the Chagrin Falls Studio Orchestra (2013), the Firelands Symphony (2015) and the National Repertory Orchestra (in July 2016). His collaboration with master pipa-player Gao Hong, The Braided Candle, explores a unique blending of both traditional Jewish and Chinese folk music styles. A serious classical chamber musician, Steven performs with celebrated early music pianist/harpsichordist Byron Schenkman as The Greenman-Schenkman Duo; an ensemble dedicated to performing the Jewish art music repertoire of the early 20th century Jewish composers from the St Petersburg Society for Jewish Folk Music. Steven is a graduate of the Cleveland Institute of Music receiving both Bachelor’s and Master’s degrees in Violin Performance.